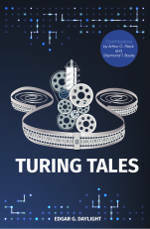 This post contains extra information about my CACM article `A Turing Tale' (October issue, 2014), specifically regarding particular book chapters and page numbers for the source citations appearing in my article. Below, I present fragments of my article along with precise source citations which were omitted due to editorial styling conventions. In what respect, then, did Turing stand out in the 1940s? Burks, A.W. The invention of the universal electronic computer—How the electronic computer revolution began. Future Generation Computer Systems 18 (2002), 871–892. Copeland, B.J. Turing: Pioneer of the Information Age. Oxford University Press, 2012. 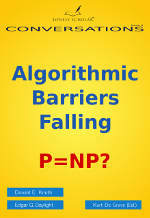 Davis, M. Computability and Unsolvability. McGraw-Hill, 1958. Davis, M. The Universal Computer: The Road from Leibniz to Turing. CRC Press, 2nd edition, 2012. Daylight, E.G. Towards a historical notion of “Turing—The father of computer science.” History and Philosophy of Logic. Accepted for publication; see: http://www.dijkstrascry.com/TuringPaper. Goldstine, H.H. untitled (A letter from Goldstine to Womersley, January 8, 1946). Herman H. Goldstine papers in the collection of the American Philosophical Society in Philadelphia, Series 1, Box 3. Haigh, T. Actually, Turing did not invent the computer. Commun. ACM 57, 1 (Jan. 2014), 36–41. Haigh, T., Priestley, M., and Rope, C. Reconsidering the stored program concept. IEEE Annals of the History of Computing (Jan.–Mar. 2014), 4–17. Hodges, A. Alan Turing: The Enigma. Burnett Books, 1983. Hodges, A. Book review: The essential Turing. Notices of the AMS 53, 10 (Nov. 2006), 1190–1199. Knuth, D.E. and Daylight, E.G. 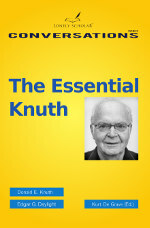 The Essential Knuth, volume 2013. Lonely Scholar, 2013. Petzold, C. The Annotated Turing: A Guided Tour through Alan Turing’s Historic Paper on Computability and the Turing Machine. Wiley Publishing, Inc., 2008. Priestley, M. A Science of Operations: Machines, Logic and the Invention of Programming. Springer, 2011.
van Rijsbergen, C.J. 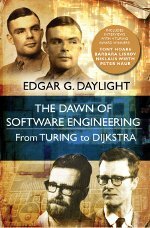 Turing and the origins of digital computers. In Aslib Proceedings 37, pp. 281–285. Emerald Backfiles, June/July 1985. Paper presented at an Aslib Evening Meeting, Aslib, Information House, March 27, 1985. Vardi, M.Y. Who begat computing? Commun. ACM 56, 1 (Jan. 2013), 5.